The Idiopathic Pulmonary Fibrosis GUIDELINES Pocket Guide is endorsed by the American Thoracic Society and is based on the latest published guidelines. This practical quick-reference tool contains graded recommendations for the treatment of idiopathic pulmonary fibrosis and a table of recommended drugs. Idiopathic pulmonary fibrosis (IPF) is a specific form of chronic, progressive, fibrosing interstitial pneumonia of unknown cause occurring in adults. Radiologic and/or histopathologic patterns are consistent with usual interstitial pneumonia. Significant advances have been recently made in the clinical management of IPF. All of the recommendations in favor of treatment are conditional, meaning that decisions to treat patients with IPF should be individualized. Clinicians should be cautious to not interpret recommendations with the same grade as having the same net effects. The recommendations in favor of treatment put a higher value on the potential benefit of patient-important outcomes such as disease progression as measured by FVC decline and mortality and a lower value on potentially significant adverse effects and the cost of treatment. a Most of the evidence that provided the foundation for the suggestion to use regular antiacid therapy was derived from patients receiving proton pump inhibitor therapy. A very small proportion received histamine-2 receptor antagonists. Other antiacid treatments may need to be considered differently. High ⊕⊕⊕⊕ Further research is very unlikely to change confidence in the estimate of effect. Moderate ⊕⊕⊕⊖ Further research is likely to have an important impact on confidence in the estimate of effect and may change the estimate. Low ⊕⊕⊖⊖ Further research is very likely to have an important impact on confidence in the estimate of effect and is likely to change the estimate. Very low ⊕⊖⊖⊖ The guideline committee is very uncertain about the estimate. 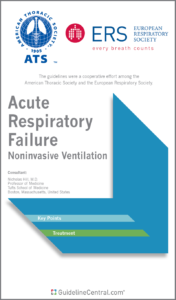 The guidelines were a cooperative effort among the American Thoracic Society, European Respiratory Society, Japanese Respiratory Society, and Latin American Thoracic Society. This Guideline attempts to define principles of practice that should produce high-quality patient care. It is applicable to specialists, primary care, and providers at all levels. This Guideline should not be considered exclusive of other methods of care reasonably directed at obtaining the same results. The ultimate judgment concerning the propriety of any course of conduct must be made by the clinician after consideration of each individual patient situation. Neither IGC, the medical associations, nor the authors endorse any product or service associated with the distributor of this clinical reference tool. CPT ® copyright 2017 American Medical Association. All rights reserved.